You’re in for a treat! There’s a movement going on that’s centered around individuality. Motions Salon Hair Care urges us to be whatever it is that we want to be, especially when it comes to beauty. As Ashunta Sheriff put it here, ” if you have a weave and want big, funky, curly hair”, #DoYou! I’m absolutely here for this! If you’re asking yourself, “how can I explore my individuality”, I’ve got some inspiration for you! Personally I think the ability to #DoYou is about knowing who you are. It’s about how you define yourself and embracing that uniqueness. Which is why I thought that #iDefineMe is another great way to celebrate and explore this movement. During my trip to Hollywood for the Think Like A Man Too premiere last month I hung out at the Hollywood & Highland Center. I stopped some lovely ladies for a chat about style to learn how they defined their style, their beauty and themselves. Here’s the exciting part! I want to know more about how my readers define their beauty and style. So tell me how you #DoYou in the comment section below and you’ll be entered into the giveaway sponsored by Motions! Enter a comment below or over on YouTube to win the products from the style in the video! 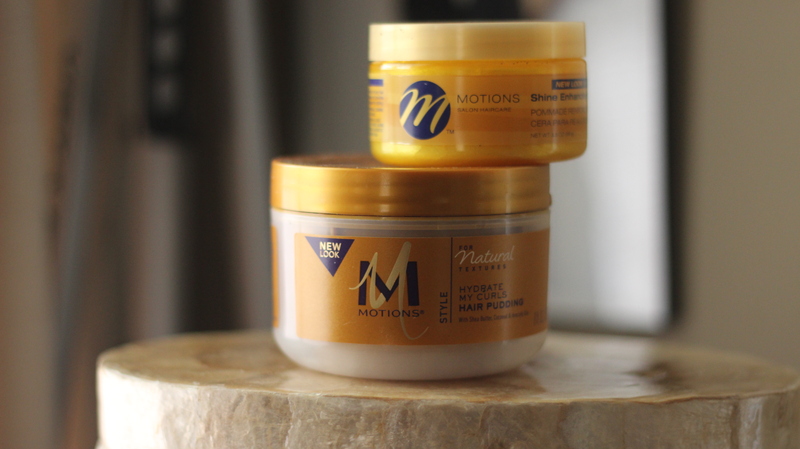 1 winner will receive the Hydrate My Curls Hair Pudding AND one of my new favs, the Shine Enhancing Pomade (Ursula Stephen-Motions Celebrity Hairstylist told me she calls it “Bling Bling”). I used both products to create the style in the video, which is simply perfect for these warmer summer months. I absolutely can’t WAIT to hear how you are choosing to #DoYou! Don’t forget to tag your social media posts with #iDefineMe and #DoYou to show me how you’re celebrating. Join this celebration and spread the positive message by sharing this post and video! Disclosure: This post was created in sponsorship with Motions® Hair Care, a product line by Unilever. Truth be told, I’ve only begun to “DO ME” when God CHANGED me… Two years ago I gave my life to Christ & He gives me that boldness that I never had before to totally abandon what society thinks of me & what I “should” look like (of course I still maintain the boundaries set by God Himself). I grew up in the West Indies, Trinidad to be exact, and went to all-girls’ schools my whole life.. Not exactly the easiest environment to be your individual self, especially when you’re trying to “fit in” and be “liked”, the average teenage girl’s main concern at that stage in life. In the Caribbean, sad to say we’re only now starting to break out of being a “clone” society.. The majority of society usually dresses along the same lines, all rocking the SAME “trends” at the same time and hopping on the SAME bandwagons together. It takes a really bold individual to say NO to that in a society where you’re looked at like you’re crazy if you wear loud colors, for example, or wear a non-matching outfit. Since I became a Christian, and in a new environment altogether, I’ve felt less & less the need to conform (see what I did there?! Lol!) in more ways than one; finally fell In love with my NATURAL hair,finally wearing what I like even other people around me think it’s crazy, finally free to DO ME.